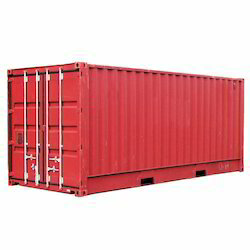 Prominent & Leading Manufacturer from Thane, we offer cargo containers. We are the best provider of Cargo Containers which are made of solid metal components for high consistency and durability. We assure best products which are superior in quality, strong, reliable and are high in demand. These are precisely manufactured in our advanced unit by our diligent professionals. We assure sustainable range of products which are high in demand and are provided at leading market price range.